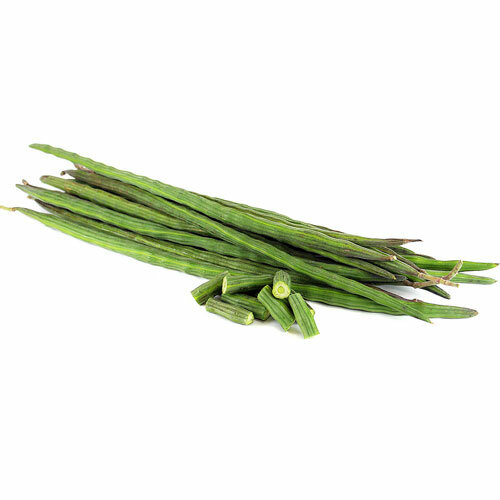 Drumstick vegetable acts as great health companion for you against diseases. It is a multipurpose greens that transforms food to a more nutritional diet. Scientifically Drumstick is known as Moringa Oleifera, its Common Names is Malunggay in Philippines or Drumstick Tree, Horseradish Tree or Ben oil Tree. Drumstick is a small, slim tree growing as high as 9 meters with a soft and white wood, surrounded by thick cork. Leaves are alternate thrice pinnate. Drumstick tree has been referred to as the “Miracle Tree” for its versatility and it is extremely well-known vegetable with high nutritional value and incredible quality to cure numerous health conditions. Drumsticks are unique veggies that offer all sorts of nutritional benefits and furthermore cure numerous health issues. Drumsticks stem, seeds and leaves are known as healing qualities. Let’s see some of the amazing health benefits of drumstick vegetable here on this page. It contain Vitamin C content. If individuals are suffering from cold & sore throat, they can have drumstick soup for immediate relief. Even, drumsticks leaves are known to attain therapeutic qualities and beneficial to heal diseases such as asthma, wheezing, and other respiratory diseases. The intake of drumstick soup on a regular basis for pregnant women supplies essential vitamins, calcium, and iron. It alleviates delivery and minimizes post-delivery problems. A vegetable made from leaves improves breast milk after giving birth. Drumsticks contain the superior quality of anti-bacteria, which helps in preventing infections in the throat, chest, and skin. Even, drumstick leaves & flowers are used in preparing soups as they are anti-biotic. Moringa cleanses and detoxifies the body and helps to prevent acne and pimples. It also reduce wrinkles and protect your body and skin against free radical and damages to cells. Drumstick are very useful for stronger bones and teeth because of its high calcium content. It help to manage claudication (a cramping pain caused by low blood supply to affected muscles). It prevent occurrence of osteoporosis during old age. It helps to improve hemoglobin content of the blood, this in turn helps the blood to deliver more oxygen to the muscles during excessive exercises.